Pierre Jules Mene created several sculptures of deer. 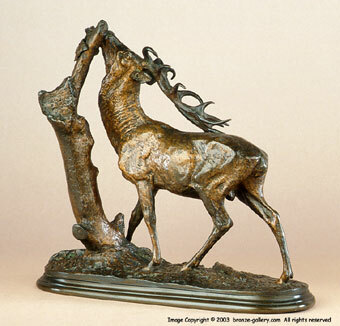 This bronze was one of his best known stags models. It was initially created in 1843 and produced over several years in three sizes, this being the middle size. It is listed in in Mene's catalogue as sculpture number 118. 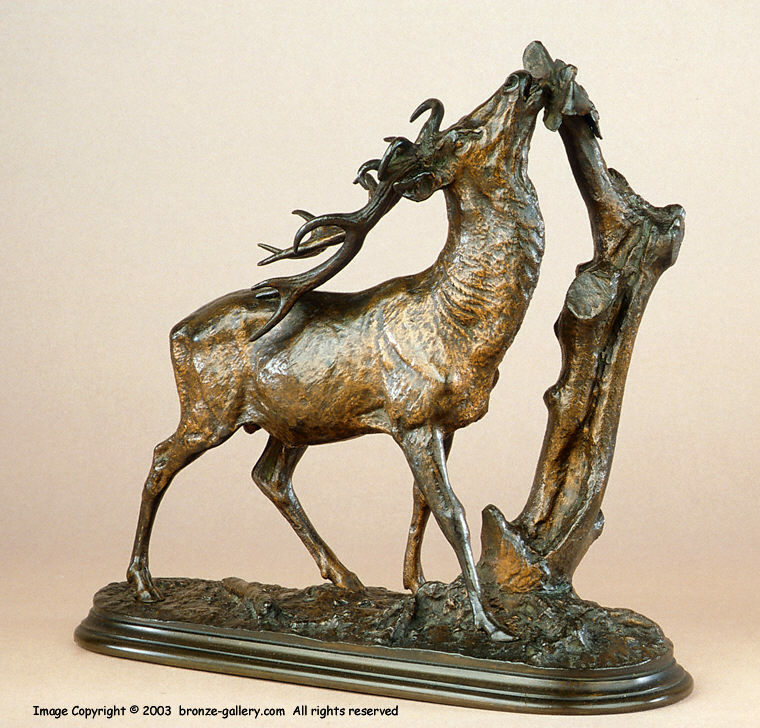 Mene adds realism to this bronze by having the stag strain upward to browse foliage from a tree. This is a highly detailed and finely cast bronze sculpture and is finished in a light brown patina. We also have this same Stag in the larger size of 14 1/2 inches tall (37 cm) in a Gilt patina cast by Susse Freres, it is an impressive bronze offered at a reasonable price. The Animaliers by James MacKay, pg. 112 (Color plate). Bronzes of the 19th Century by Pierre Kjellberg, pg. 485.